TWO new entities are likely to appear on the Australian Stock Exchange by the end of the year as GrainCorp Ltd looks to split into two independent companies, MaltCo and New GrainCorp. 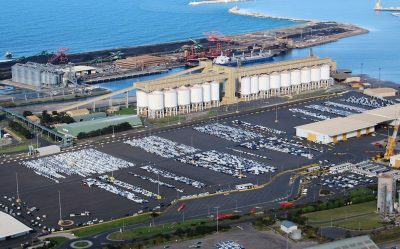 Port Kembla is one of GrainCorp’s seven bulk ports in eastern Australia. The change will come about through the demerging of its global malting business under the MaltCo banner, while New GrainCorp will bundle GrainCorp’s grains and oils businesses. Subject to shareholder and other approvals, GrainCorp hopes the demerger will be effective by the end of this calendar year. GrainCorp said the proposed demerger would enable MaltCo and New GrainCorp to pursue independent operating strategies, with discrete capital structures, and attract investors with different priorities. New GrainCorp will own and operate GrainCorp’s domestic and international grain-handling, storage, trading and processing functions which are focused on grains, oilseeds, pulses, edible oils and feeds. “The Board believes that the demerger would unlock significant value for shareholders by establishing two unique and high-quality ASX-listed agribusinesses,” GrainCorp Chairman Graham Bradley said. The demerger proposal has come out of GrainCorp’s portfolio review, which GrainCorp CEO Mark Palmquist said highlighted the difference in characteristics of the malting division compared with the rest of the business. “A demerger would provide both MaltCo and New GrainCorp with increased flexibility to implement independent operating strategies and capital structures, and allow them to attract investors with different investment priorities,” Mr Palmquist said. Following the proposed demerger, MaltCo will be the world’s fourth-largest independent maltster, with plants in Australia, Canada, the United Kingdom and the United States. Mark Palmquist will head MaltCo. MaltCo’s strategic focus will be on further developing its international portfolio as a global malting and craft-brewing distribution business which will own and operate what is currently held in the GrainCorp Malt division, including the Country Malt Group craft malt-distribution business in North America. MaltCo is expected to further build on the growth of its recently expanded US malting plant at Pocatello, Idaho, now with a 220,000-tonne annual capacity, and the 79,000t expansion under way at its plants in Inverness and Arbroath, Scotland. GrainCorp Malt’s performance has been the strongest of all the divisions in profit results from GrainCorp’s most recent reporting periods. Following the proposed demerger, New GrainCorp will have assets in grain handling, storage, trading and processing in Australia, New Zealand, North America, Asia, Europe and Ukraine. The demerger of MaltCo is seen as having the potential to deliver annualised cost savings to New GrainCorp of around $20 million. New GrainCorp will operate the largest grains storage, transport and marketing network in eastern Australia, as well as Australasia’s largest integrated edible oils business. It will also be trading in an already widening geographical and commodity base worldwide, and target domestic, on-farm and niche grains markets, including organics, as growth opportunities. New GrainCorp will assume GrainCorp’s storage and logistics infrastructure assets in eastern Australia, which comprise 145 country receival sites, 20 million tonnes of storage capacity, and seven bulk-grain export terminals. Also on the domestic front, New GrainCorp is evaluating options to reduce cash-flow volatility tied to its exposure to grain production in eastern Australia, where GrainCorp is the major bulk handler. Being done through a “long-term grain production derivative instrument”, it will act as a form of income-protection insurance for New GrainCorp. In exchange for an annual fixed fee and payments to the counterparty when production was above an agreed tonnage, it would see New GrainCorp receive a payment if it took delivery of less than an agreed tonnage. Further to this, GrainCorp has received an executed indicative term sheet from a leading global insurer. Engagement with parties, including Long-Term Asset Partners Pty Ltd (LTAP), which has expressed an interest in part or parts of GrainCorp’s portfolio, continues in parallel with the move towards MaltCo’s demerger. GrainCorp said potential remained for GrainCorp, MaltCo or other portfolio businesses to be sold, and that it had received no recent definitive update from LTAP. Its board will assess any proposal received from parties which would maximise value for shareholders. 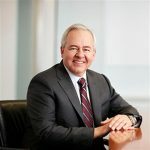 Mark Palmquist will become managing director and CEO of MaltCo once the demerger takes place, and will remain as CEO of GrainCorp in the interim. In light of Mr Palmquist’s intended appointment to the board of MaltCo, he is resigning from his role as GrainCorp managing director and stepping down from the GrainCorp Board. GrainCorp’s group general manager grains Klaus Pamminger has been appointed as the company’s chief operating officer. On demerger, Mr Pamminger will become managing director and CEO of New GrainCorp. If the demerger is implemented, GrainCorp shareholders will receive MaltCo shares in proportion to their shareholding in GrainCorp, while also retaining their GrainCorp shares. GrainCorp is engaging with the Australian Tax Office in relation to demerger tax relief for the distribution of MaltCo shares to GrainCorp shareholders as part of the demerger.